I grew up on a farm in the small town of Altar in Sonora, Mexico. I had four sisters and one brother. Growing up on a farm was a lot of fun, but at the same time it was also a lot of work. It takes many hours of hard work to tend the land and harvest the crops. In the summers, my family and I would travel around and pick cucumbers for other people. Sometimes we even had to pick cotton the old-fashion way which was by hand. The scorching summer sun as well as the constant bending down to pick crops made this some of the hardest work that I have ever done in my life! 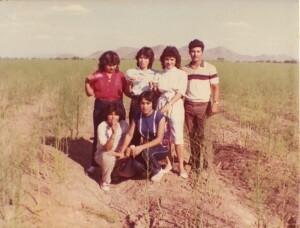 Pedro with his sisters and cousins at their farmland (milpas) in Altar, Sonora. My family had about thirty acres of land, and when I was about fourteen years old we started to grow on our own land instead of getting paid to pick other people’s land. We decided to start growing cotton, wheat, and watermelons on our little farm. After the crops were picked, there was a truck that would come from the big cities in order to purchase our harvest. 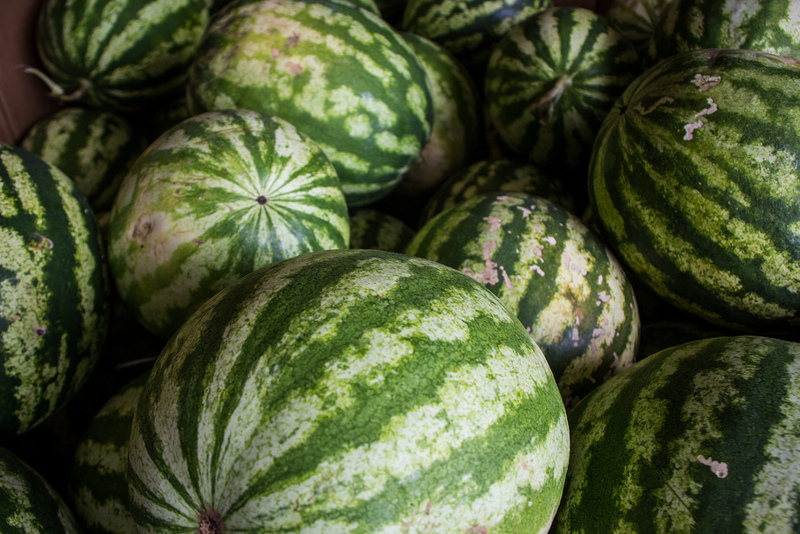 When the big trucks came from two or three hours away, we would haul our produce down to the truck, and they would pay us for what we grew. Farming sounds like such a beautiful way of life, but it becomes very difficult at times to make a steady income. A farm is at the mercy of the weather and supply of water, and in Altar there was a dam that would hold most of the water. The only problem with that was that everyone had to pay in order for the dam to send water to their farm. Also, another expense of farming was paying the tractors to work the land. 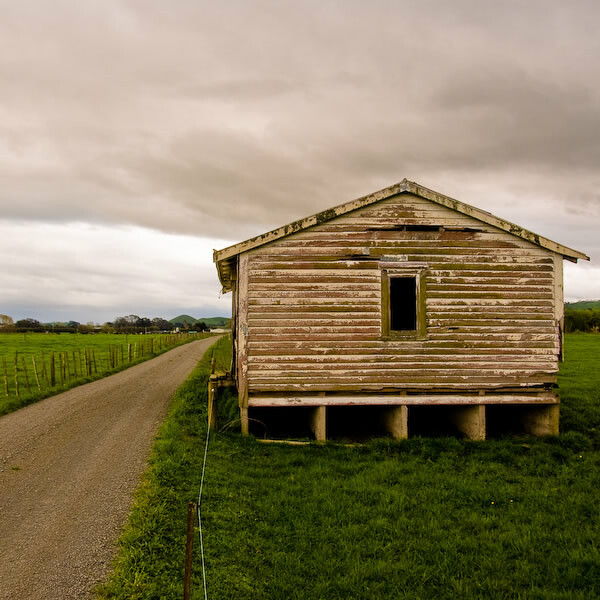 Over time, these expenses piled up pretty quickly, and it is very hard for a family of eight to be supported by farming. I remember that from time to time my Tio Pepe would help my family out financial because of the struggles of a farm life. 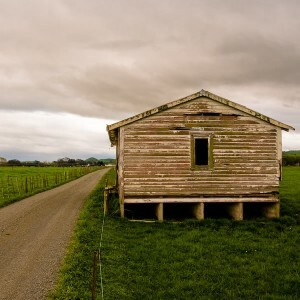 By the age of eighteen I decided to move to the United States because I knew there was no future in farming.